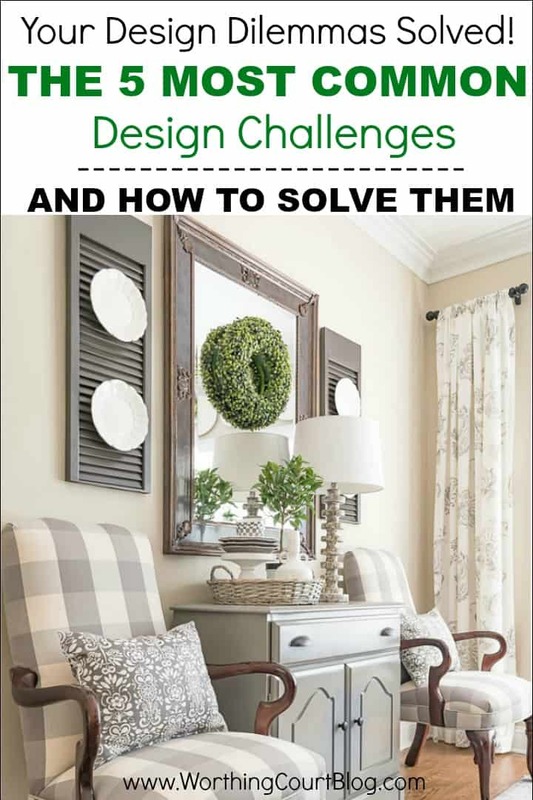 Learning how to decorate is certainly a process and part of that process is figuring out how to deal with design challenges. Here are some of the five most common design dilemmas and tips for how to fix them. Design challenges – we all have them in one form or another. 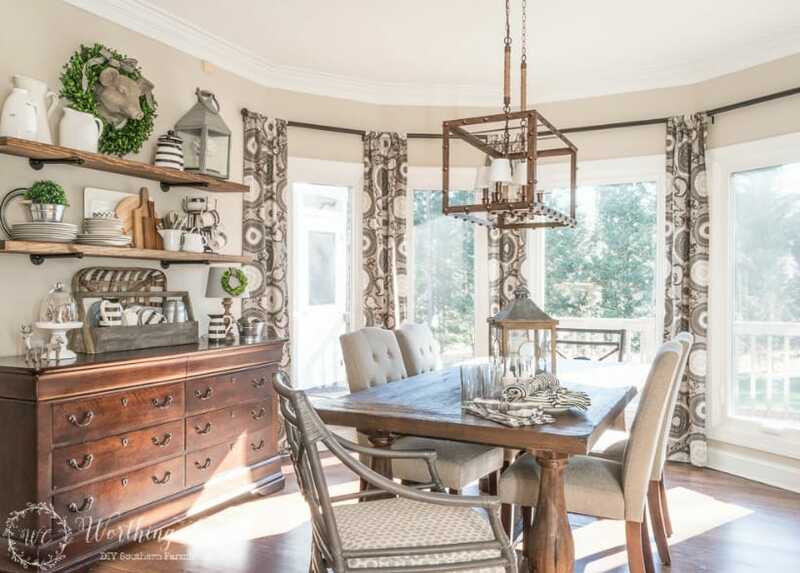 Even though I’ve had homes custom built along with having had homes that I’ve fully remodeled, no room is ever perfect – there’s always something that you have to figure out how to decorate around. I’ve actually been writing about this very subject for a looong time – since 2011! In fact, my whole mission for this blog is to inspire your creativity to help you create the home of your dreams and to provide you with the know-how to make it happen. So….let’s talk about the five most common challenges and how to turn them from a problem into a bonus. Unless you’re a looong time reader, you may not know about all of the solutions that I already researched and posted about. So, let’s revisit the most common dilemmas and learn how you can solve them. Simply click on the enlarged text to read the full post and learn more. You know that thing that your eye automatically goes to when you enter a room? That’s considered a focal point and every room needs one. That thing can be a fireplace, large window, built-in bookcase, a large furniture piece, a headboard, even a big ole blank wall. The problem arises when you have some or all of these features within one room. Which one should you focus on??? Which one should you try to draw attention away from??? Is it okay to have more than one focal point??? 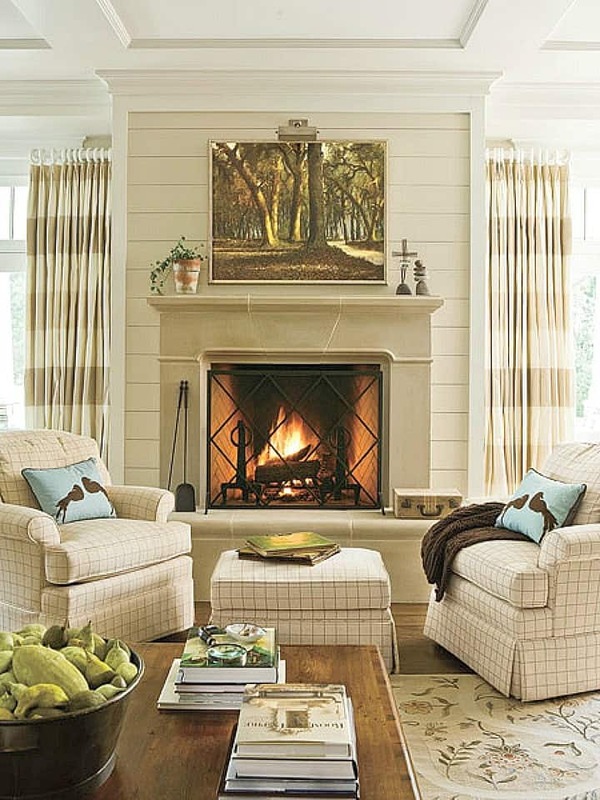 Every room and situation is different, but in this post you’ll get basic guidelines for dealing with multiple focal points when designing your living space. Any small room can tough to comfortably live and function in on a daily basis! I adore the coziness of small bedrooms, but figuring out how to decorate, organize and add style to them can be a real challenge. Instead of tackling the entire room at once (which can be overwhelming), I’ve broken the process down into smaller parts that you can take care of one at a time. In this post, you’ll learn about what to do with your walls, the best bedding, furniture and lighting, how to add stylish storage and more. 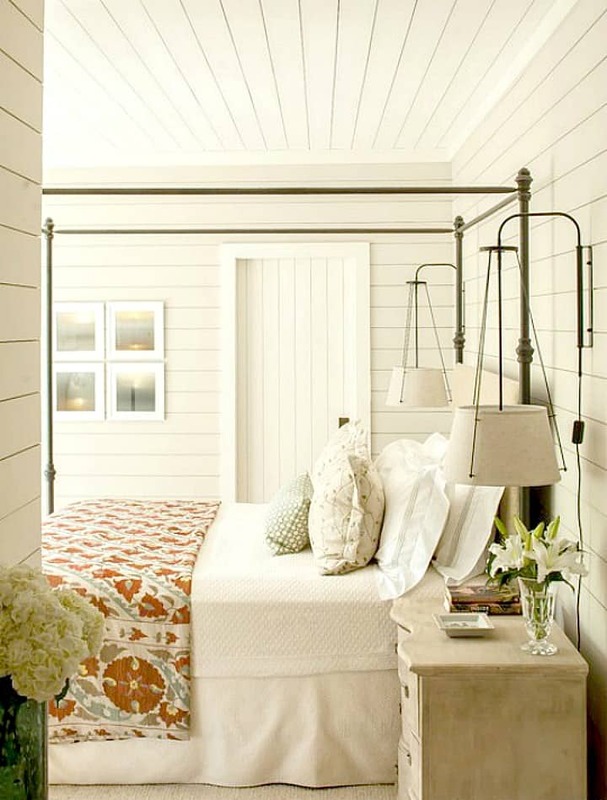 Speaking of small spaces, what about making the other small rooms in your home look larger? Look no farther than mirrors! 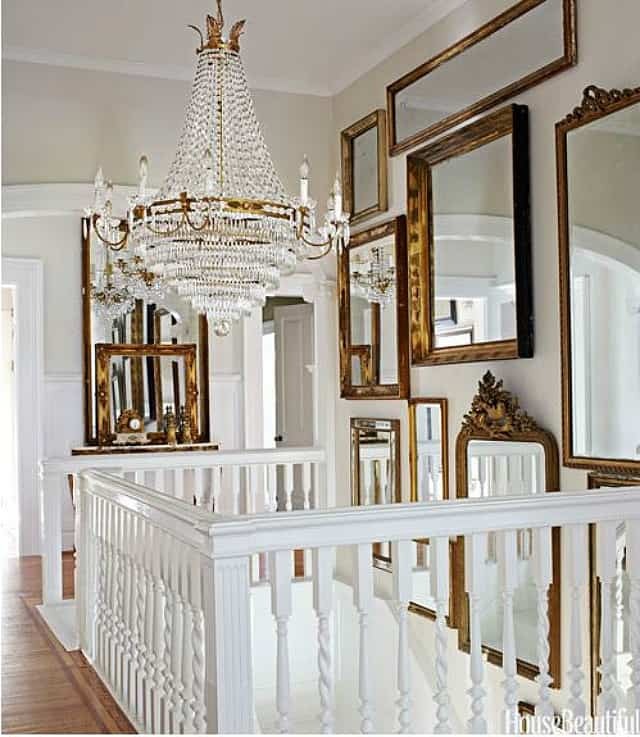 Using mirrors to fool the eye into thinking a space is larger than it really is, is a well known designer trick. And don’t stop with just one. 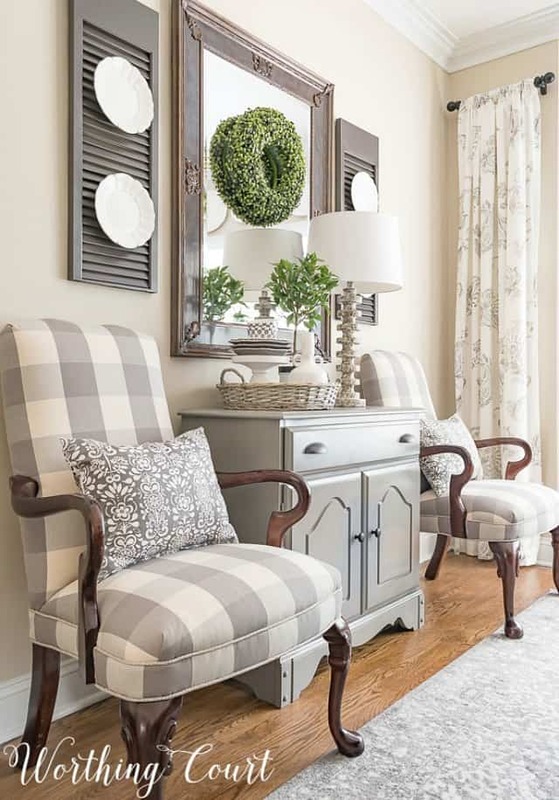 In this post, you’ll find ideas for how to use multiple mirrors in the same room, on the same wall or even on opposing walls. By the time you’re finished, your room will have never looked larger! Maybe I should have made this entire post about how to decorate small spaces because here’s a third small space dilemma. 😀 It certainly seems to be a common problem that many of us deal with. 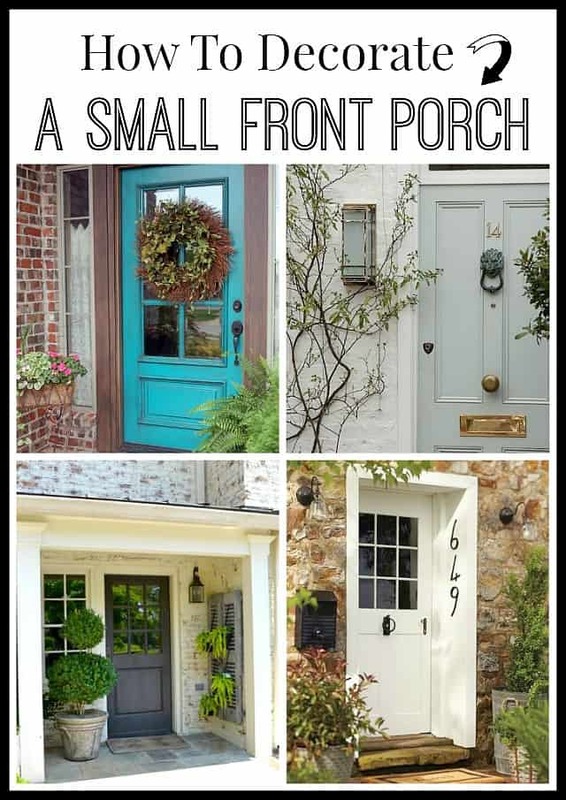 Whether you have a small porch with just a step or two, have just a stoop or don’t have a true porch at all, you’ll find lots of stylish tips in this post for making the most of your front entry. Do it right and you’ll add to the curb appeal of your home too! And finally, this may very well be THE #1 design dilemma that just about all of us face at one time or another – fear of decorating. It’s common to some of us more than others, but it’s a real thing! I’ve been right there myself many times – so afraid of making a “mistake” that I don’t do anything at all. Friends, I don’t want you to feel that way!!! This post is chock full of actionable steps that you can take to help you overcome those fears and start creating the home of your dreams. Thank you, Laura! I hope you have a great week too!